MAFS is back, but what does it really take to make a relationship work? It’s a New Year, which many people see as a great time for a fresh start. Resolutions are made and plans put in place for revised habits; go to the gym more often, eat better, read 10 books, have some ‘me’ time or really connect with the kids. It’s also the time of year for new TV series; countdown to Game of Thrones, sitting back watching the tennis and a new season of Married at First Sight (MAFS). Regardless of what you think of the MAFS experiment, it does raise questions about how relationships should work. So, what does it really take to make a marriage, or committed couple relationship work? Well, it is less about what each person ‘possess’ and much more about how each person relates and responds to the other. It is less about them having to accept specific aspects of our lives and much more about each person’s overall views and general approach to being in a relationship with someone. A vast amount of our lives and therefore relationships are taken up with needing to carry out repetitive, daily, weekly or monthly tasks, jobs, chores, cleaning, cooking, shopping, fixing, sorting, organising and arranging. There’s little point feeling resentful about these things and a lot more point in relishing getting tasks done either together or for the benefit of your lives together. • Having a good work ethic but not being a workaholic. We need a general view of having balance in all we do (even not overeating kale!) 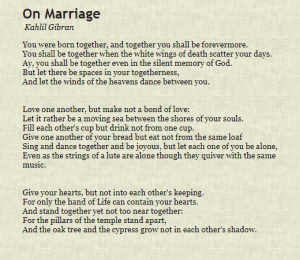 Have a read of On Marriage by world-renowned Lebanese-American poet Karl Gibran below. Through everyday mundane tasks and balance getting out of whack, the friendship in a couple relationships can slip. Sometimes we don’t consider that our partner can also be someone we share a deep, connected and fun friendship with. 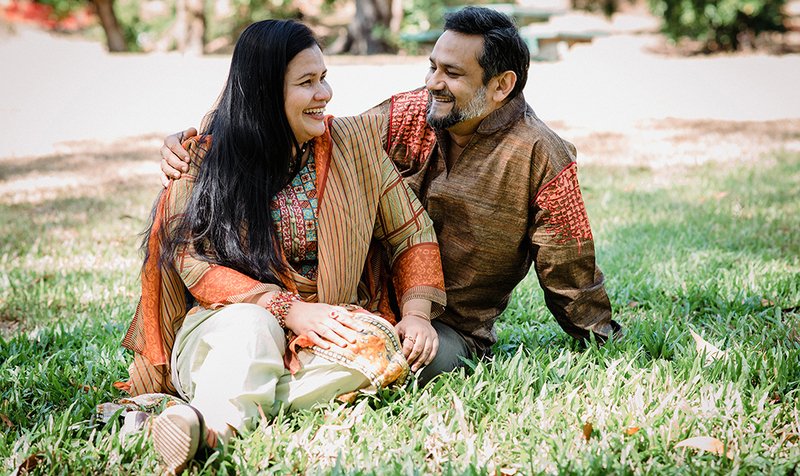 Leading relationship specialists Julie and John Gottman, show in their research that the foundation of a sturdy ‘marital house’ ultimately needs to be a friendship; liking and genuinely being interested in the other person, for who they are and what they are about. Find, increase or keep up, ways to make the friendship with your partner a deep, fun and connected one. You can also download the Gottman couple app – a fun way to improve your friendship with helpful questions, statements, and ideas. Get off to the best start ever in 2019 by attending one of our three upcoming couple relationship courses. 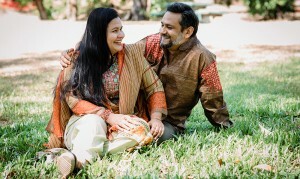 Couple connect and Building Better Relationships offer up to date tips, provide opportunities to practice new skills and a dedicated time and place to get it back on track or fine-tuning your relationship. 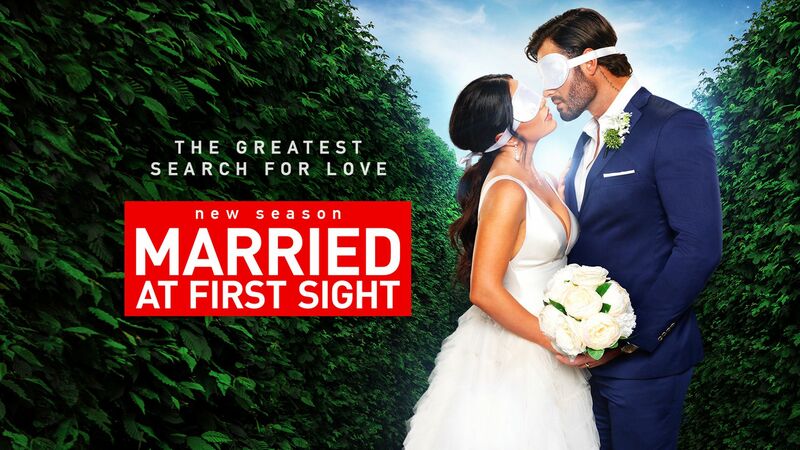 This entry was posted in Uncategorized and tagged love, MAFS, Married at first sight, Relationships on January 24, 2019 by Mario Fitirikkos.